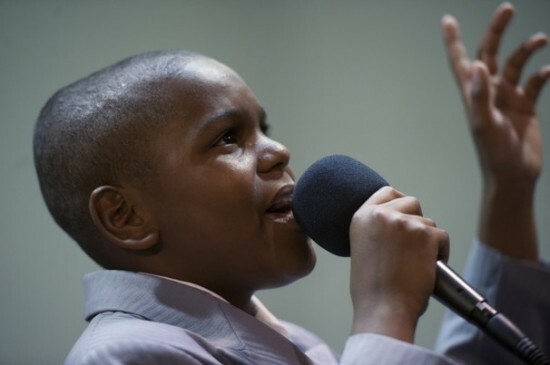 How would you feel if an 11-year-old became a preacher for your congregation? On May 6, the Fullness of Time Pentecostal Church in Temple Hills, MD ordained 11-year-old Ezekiel Stoddard as a minister (where is parents are both ministers as well). According to Ezekiel, he was motivated to become a minister when God came to him in a dream and told him to read Psalm 23. In this congregation, Ezekiel preaching the 11 AM services each week. Reading about this story brings both negative and positive feelings. On the negative side, it is unwise and ridiculous to put an 11-year-old in charge of preaching to the souls of a congregation. How would you feel if an 11-year-old surgeon, lawyer, police officer, or firefighter walked through the door to help you? Someone of this age may not even be accountable for his sins before God yet, let alone ready to lead a congregation. There are just some positions in this world that require a higher level of maturity, knowledge, training, and experience. Church leadership is one of these positions. Surely there are several other negatives we could point out as well (like his alleged “dream from God). On the positive side, this is all about developing leadership. Even though they are going about it all wrong, their intentions are admirable. They are trying to ensure strong leadership for the future. We have the same struggle in our congregations as well. Good, sound leadership is becoming uncommon in the Lord’s Church today. Many congregations are struggling without qualified elders and deacons, and may go for years without a preacher. Why is this happening? Because many congregations are not training and encouraging young people to be leaders. Young Lions (2-6 grades): Our young boys are taught the fundamentals of public speaking and trained how to publically read Scripture, lead singing, lead prayers, and even prepare a short sermon. God’s Precious Daughters (2-6 grades): Our young girls are taught what Christian women do. They are taught about being a servant, hospitality, and other godly attributes. They participate in service projects, visiting shut-ins and the elderly, preparing meals, writing encouraging letters, as well as planning the annual Ladies Tea and devotional. Future Preacher’s Training Camp (Ages 13-18): Young men from all over the US come for a week of spiritual training. They prepare sermons, devotionals, and engage in many leadership and character building activities. The goal is to teach and encourage these young men to become preachers, teachers, and leaders in church. Higher Ground Girls Camp (Ages 13-18): Teen girls from all over the US come for a week of spiritual teaching and fellowship. There is a strong emphasis on teaching the girls how to better study their Bibles. They are also taught qualities of Christian women and how to be active in their congregations. Bear Valley Bible Institute of Denver: BVBID is an incredibly intense two-year college program dedicated to training men and women for full time ministry. The goal is to ground faithful men in God’s word and prepare them to preach, teach, and become leaders in the church. Please understand that the list above is not given in a boastful, prideful, or arrogant way. All that is done is for the glory of God. Beyond this, many of these ideas are not original with us but created by others. However, I wanted to share them so that you too can use these works, or other great ideas you might have, and implement them in your congregations. One of the greatest leaders to ever live was Moses. Moses took huge steps to ensure that a great leader would follow after him (Deuteronomy 34; Joshua 1). As a result, Joshua also became an incredible leader in Israel and brought the nation into the Promise Land. We too must take action and build up tomorrow’s leaders. What steps are you taking to grow and train the next generation of leaders?